Students are welcome to use this room when available as a quiet place to study or practice their language skills. 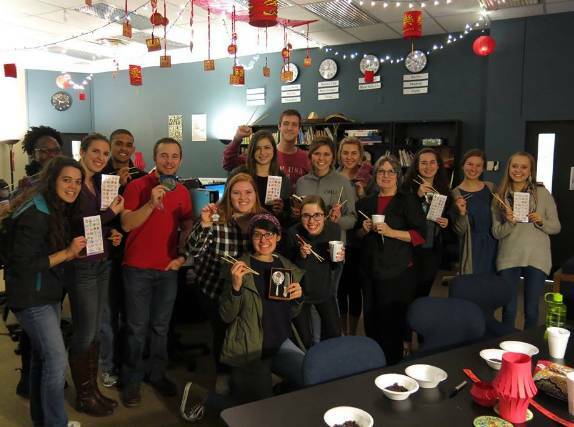 The LLCC also often serves as the venue for various language club events, honor society initiation ceremonies, and other cultural events. If you would like to use either of the rooms to host an event, please contact the LLCC coordinator. Tutors are available for all languages we teach. See here for the tutoring schedule. For the 2017-18 school year, the LLCC coordinator is Prof. Lyn Manghum.